Tampa is conveniently located on the Western side of Florida and enjoys a close proximity to the Gulf of Mexico, making it a great gateway for cruises to the Caribbean and beyond. Royal Caribbean Tampa offers cruisers a wide range of choices for cruises to the Caribbean on two of their ships, the Brilliance of the Seas and the Royal Caribbean Jewel of the Seas. Both of these vessels are in the Radiance class and offer panoramic views from the walls of glass that encompass most areas of the ship, including a 9 storey glass enclosed atrium that offers spectacular sea views at every turn. When you include the 16 bars and lounges, the many options for dining, the rock climbing wall, the casino, spa and Broadway style shows it isn’t hard to see why Royal Caribbean Tampa is the go-to destination for many cruisers. The Tampa complex offers cruisers a well located port that is close to the famous parks in Orlando, as well as all that Tampa and area has to offer. It is close to major airports and can be found easily from the highway system. Royal Caribbean is one of 4 cruise lines that use Tampa as a departure port, and with the amenities it is not hard to see why. Cheap cruises from Tampa FL. 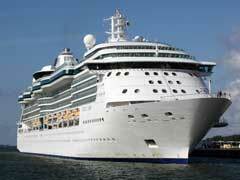 Include the Royal Caribbean 4 night sailing that goes to Cozumel Mexico and starts for as little as $329pp. A 5-night cruise starting at $358pp. adds a stop in Grand Cayman. Last minute cruises from Tampa can also be found on their website or through a travel agent. Royal Caribbean deals for a longer Caribbean cruise are also available from Royal Caribbean Tampa and include their 7 night sailing that stops in Key West, Grand Cayman, Roatan, and Cozumel before returning to Tampa. This cruise has selected sailings for as low as $619pp. For Caribbean cruise deals that depart from the western side of the state and don’t necessitate a long drive across Florida Royal Caribbean Tampa makes a great choice whether it is your very first foray on a cruise or you are a seasoned professional. Courteous and friendly employees, the Channelside amenities that are mere steps from the port entrance and the beauty that is Florida are all great reasons to choose to sail from Tampa.